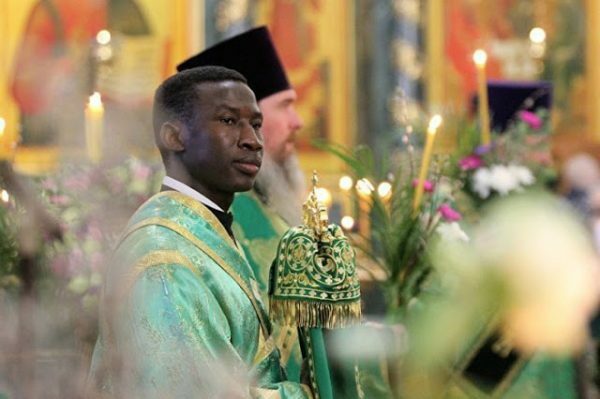 While the number of African American Orthodox Christians appears to be growing, research on this particular group remains scant. Focused either on historical figures like Fr. Raphael Morgan, the first African American Orthodox priest— or on narratives gleaned from a “community of elders,” the most prominent exemplary African American Orthodox Christians, existing research can sometimes convey a single-story narrative, one not entirely untrue—but incomplete. There remains, therefore, much to be learned at the intersection of Orthodox Christianity and African American culture. Over the course of 400 years, the shared experiences of African Americans have helped to create a uniquely American notion of blackness. The community we now refer to as the African American community is in fact comprised of genetically diverse individuals—possessing varying degrees of African ancestry. Ideas like “the one drop rule” (still prevalent in America) helped to facilitate the construction of a racial category encompassing of a diverse and heterogenous group of people. Inherent cultural complexities are further complicated, by attitudinal differences between generations. While older African Americans may lament the disappearance of a community cohesiveness characteristic of days gone by, other African Americans may readily embrace a notion of post blackness—acknowledging African descent yet resisting all previously constructed social boundaries and cultural markers. Varying notions of blackness exist side by side and often in tension with each other. It is safe to say that regarding African American identity, there is no single story. In 2017, there are many ways to be black. The wider African American community, an amalgamation of diverse subcultures, has been influenced by various strands of black intellectual thought. The teachings of W.E.B. Dubois, Booker T. Washington and Martin Luther King Jr. find modern expression in diverse subcultural contexts. The Harlem Renaissance and Negritude movements brought together a diverse group of blacks from Francophone African nations and the Americas. 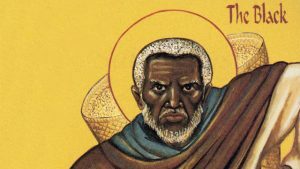 Today, we see a similar cross-fertilization of ideas taking place between African American Orthodox Christians and the Patriarchate of Alexandria and All Africa. It is from this rich, dynamic and multifaceted community that African American Orthodox Christians have come. The former Buddhist attracted to monastic piety, the former Baptist preacher, the second-generation Orthodox military veteran and the artist turned clergyman—have all found a home in the Orthodox Church. 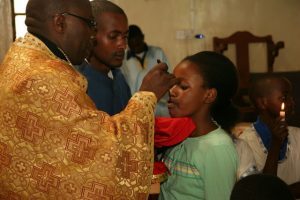 Some were drawn to the faith after visiting a parish and having a mystical experience during the service. Others connected spiritually to Orthodox aesthetics—beautiful iconography adorning a church. For some, it was the study of scripture and church history that led them to Orthodoxy and for others it was the search for an alternative Christianity, one not affiliated with the Transatlantic Slave Trade. Given the multicity of narratives, one might be tempted to conclude that African American Orthodox Christians share no common values. This, however, would be an erroneous assumption. Current ethnographic research seems to suggest that a set of core values is indeed emerging from within this growing community. Acceptance of these values appears to be relatively consistent regardless of age, gender, socio economic status or geographic location. The Belief in a God Given Right to the Orthodox Faith — Orthodox Christianity is not proprietary to any one ethnicity, culture or nation. Becoming Orthodox, therefore, does not require the abandonment of one’s ethnic identity. One can be African American and as Orthodox as anyone with ethnic roots in a traditionally Orthodox country. This is of particular importance, given that most African American Orthodox Christians are one of a few (if not the only) African Americans in their parish. High Regard for Father Involvement and Preservation of the “Traditional Family” Structure— Appealing to statistics regarding female-headed households and absentee fathers, African American Orthodox Christians place a high value on father involvement and family preservation. Committed mothers and fathers are seen as the key to raising faith-filled future generations. Black Life Matters— Though related, this idea is not to be confused with the movement Black Lives Matter. For African American Orthodox Christians, a commitment to life means protection of the unborn, protection from police brutality and protection from white nationalist factions that have found a home in the Orthodox Church. Orthodox Parishes Should Be Missional— True faith requires a commitment to community outreach, particularly to the poor, marginalized and vulnerable. The idea that one’s personal salvation is inextricably bound to one’s faithful sharing of the gospel features strongly in African American Orthodox narratives. Historical narratives, cultural traditions and various strands of intellectual thought have shaped and continue to shape African American identities. Though comprised of diverse individuals, the African American Orthodox Christian Community has produced a set of core ideals and values reflective of a unique history and American experience.